The Four Step Starter Kit from Bio Creative Lab features four new spa products for the hands, feet, and body. 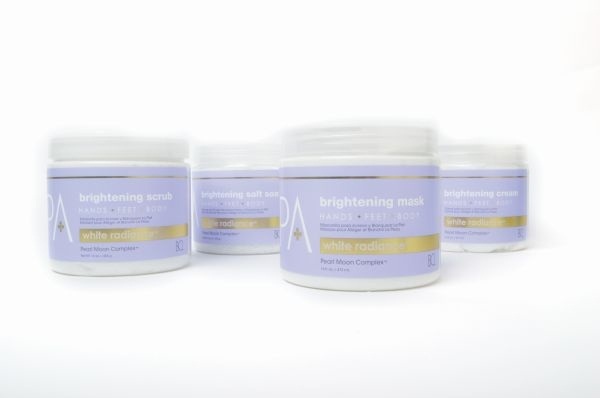 Included are brightening salt soak, brightening scrub, brightening mask, and brightening cream. The brightening formulas diminish dark spots, stimulate circulation, illuminate the skin, and reduce uneven pigmentation. The certified organic products are available in a handful of scents. For more information, visit Bio Creative Lab.